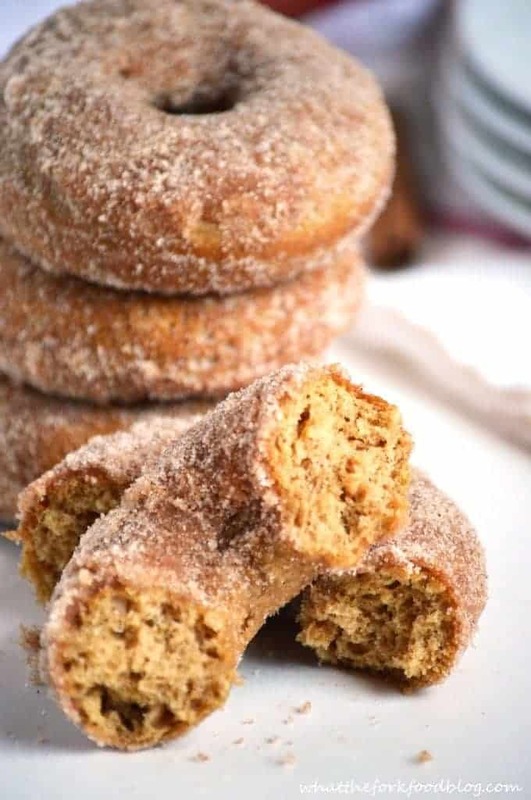 Baked apple cider donuts with a cinnamon sugar-coating. You can enjoy these with your coffee or with a cup of warm apple cider. It’s the perfect fall breakfast. I know I just posted a donut recipe last week. But DONUTS. Fall just seems like the perfect time of year to eat a donut. Especially apple cider donuts. They’re absolutely a must-have fall-food. Adam and I used to get them from our favorite orchard when we would go apple picking. They were fried, not baked and they were fabulous. So good. But now that Adam doesn’t eat gluten, we haven’t had any apple cider donuts in a long time. We missed them. But we will not be missing out any longer! 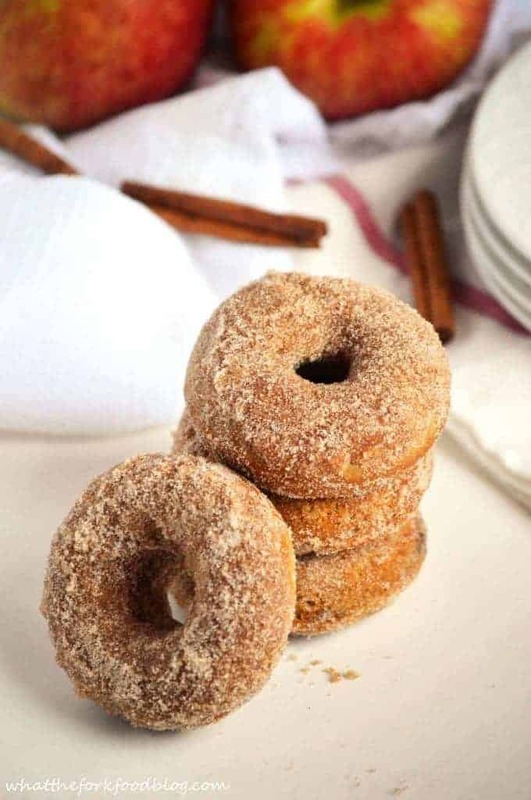 These apple cider donuts are baked and they’re gluten-free. You’re welcome, Adam! And since September is my apple month, I wanted to make sure I got another apple recipe in before my pumpkin season starts in a few days. Can you believe it’s almost October?! What the what? 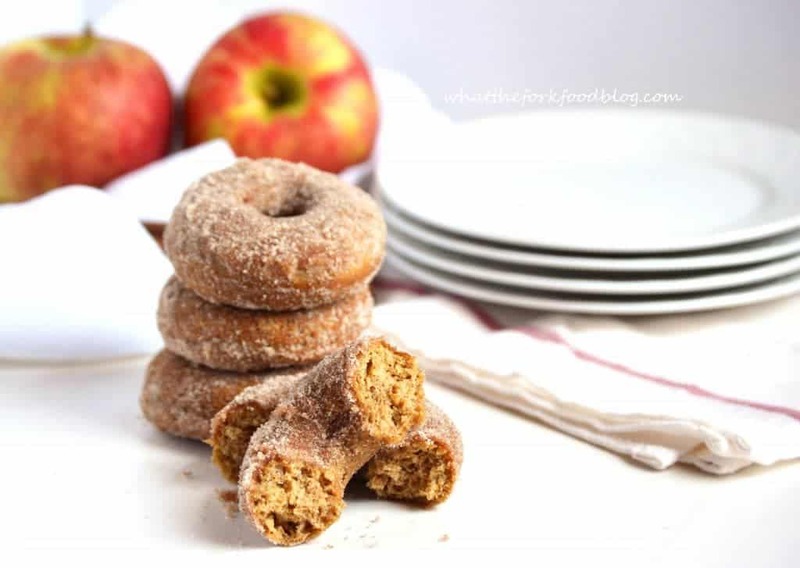 Get yourself some fresh apple cider, make these fab apple cider donuts and enjoy! Add cinnamon sticks and apple cider to a small pot. Bring to a boil and simmer on low until reduced, about 15-20 minutes. Remove cinnamon sticks and measure out 1/2 cup of the apple cider. Refrigerate to cool. Combine milk and vinegar, stir and let sit 5 minutes. While the cider is cooling, sift flour, xanthan gum, baking powder, baking soda, cinnamon, cloves and salt in a large bowl. Whisk to combine and set aside. In a medium bowl, whisk together egg, brown sugar, 1/2 cup granulated sugar, 2 tablespoons melted butter and the vanilla extract in a large bowl. Whisk in milk/vinegar and the cooled 1/2 cup of apple cider. Add the wet ingredients into the dry ingredients and stir until just combined. DO NOT over mix. Batter will be slightly lumpy. Pour batter into donut pan and fill about 3/4 of the way full. Don't over fill! Bake (in batches if necessary) for 10 minutes. Remove donuts from donut pan and cool slightly on a wire rack. 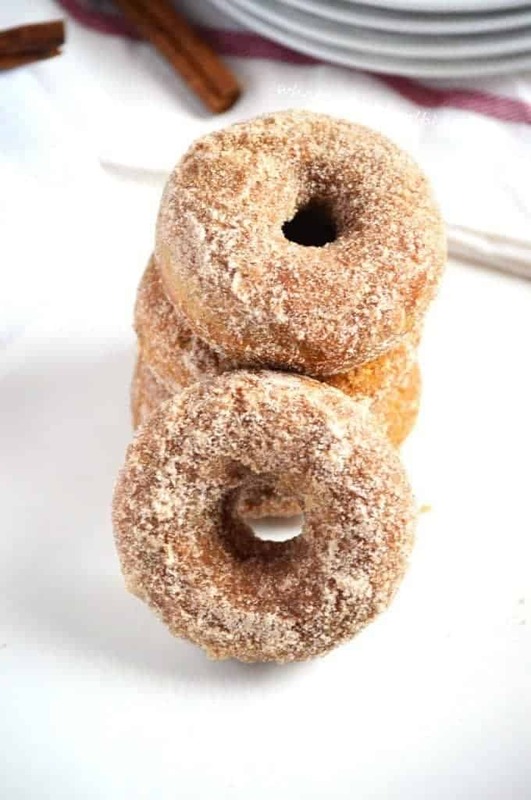 While the donuts are baking/cooling, combine sugar and cinnamon for the topping in a shallow bowl wide enough to dip the donuts in and melt the 4 tablespoons butter. Lightly dip slightly cooled donuts in the butter and then immediately dip them in the cinnamon/sugar. Turn in sugar until completely coated and place on a wire rack. Repeat with each donut. Enjoy warm or at room temperature! *Regular flour can be used in place of the gluten-free flour. Just be sure to omit the xanthan gum.When following a gluten-free diet, be sure to use gluten-free ingredients. I wish I had these for breakfast this morning! It would make getting up at 6 much more worth it 🙂 These look so good. Thanks for sharing. It is, but my coffee is already brewing by then and I can get a lot of blogging work done. I am so not a morning person though. I’m not either but I have no choice, Kelsey is a super early riser. Stopping by from SITS Link Party. Wish I has these this morning with my coffee. They would’ve been great with my coffee too except my husband ate them ALL! These look delicious Sharon. Thanks for sharing! I’m speechless. These donuts look incredible. I was literally just telling someone how I needed to find a good apple cider donut recipe. You saved the day. Thanks! I have got to get a donut pan. These look delicious! These donuts look delicious! I have seen some amazing donuts this fall, and can’t wait to add yours to the must haves! These look soooo delicious! I love it 😉 flavor combo is perfection! These look great and totally worth the calories!! Wow……these look so good. Definitely making these soon…..
….now I just need to order that donut pan I’ve been eyeing on Amazon! 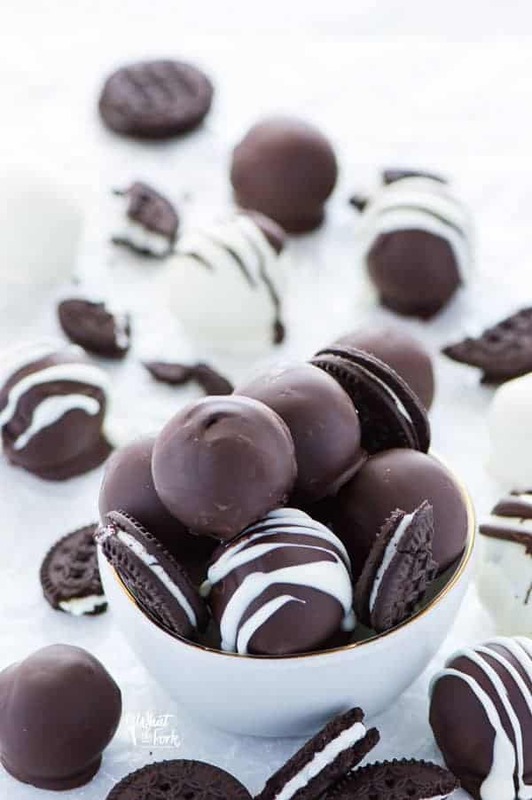 Yummy… those look so good! Thanks so much for sharing! I’d love to have these for breakfast. 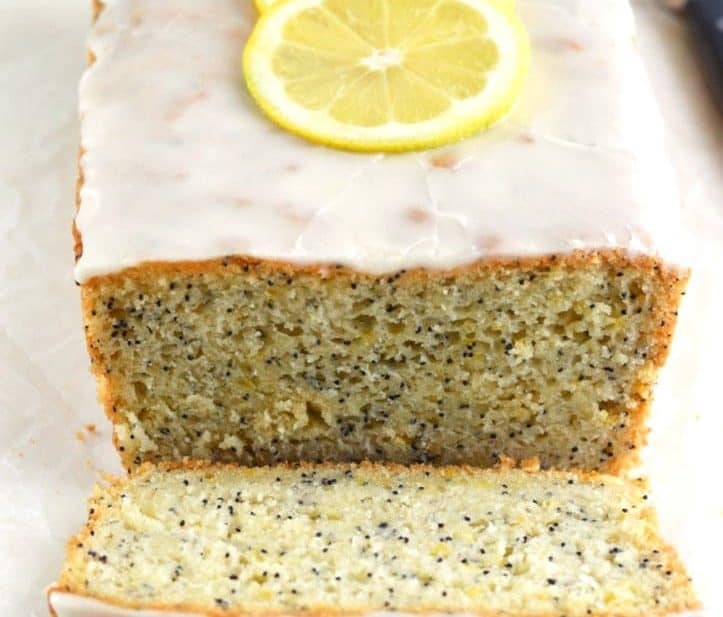 I found this recipe at the Kitchen Dreaming party. I’ve pinned them to try my hand at them later. I can taste the cinnamon sugar sweetness of these just looking at the photos! Yum!! Now I’m craving for some donuts. 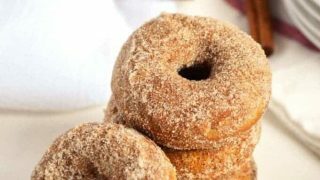 All the wonderful flavor of fall, we will just love your Apple Cider Donuts. Hope you are having a fantastic weekend and thanks so much for sharing this awesome post with Full Plate Thursday. Sharon, these look so good!! There’s a farm near us that sells fresh apple cider donuts in the fall and they’re by far my favorite donuts. I’d love to try making my own! Oh my goodness, these donuts look absolutely GORGEOUS and all kinds of perfect for a crisp fall morning! I haven’t experimented much with GF baking in my kitchen, but I have a feeling that these would be worth it… and I cannot wait to try ’em! Visiting from the Weekend Recipe Link Party! Nice to meet ya, and thanks for the great recipe! Thanks Erin! 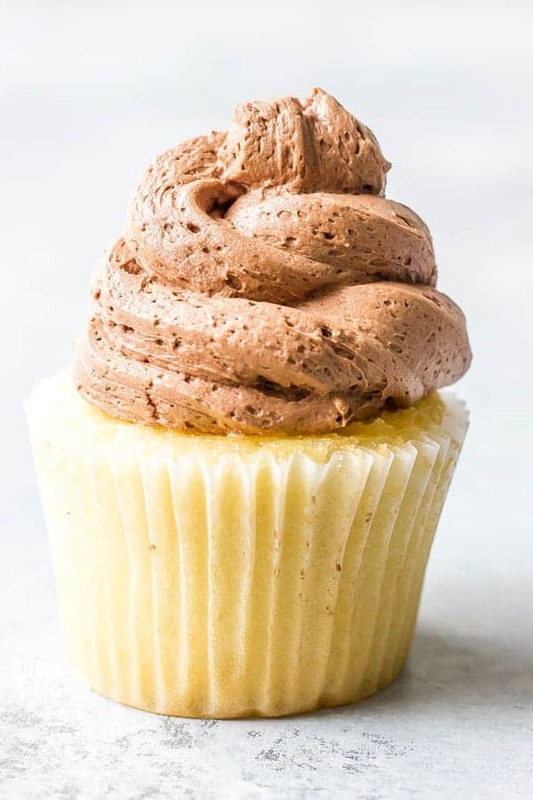 These are a good recipe to practice with, they’re not difficult to make especially since all you need is a good gluten-free all-purpose flour. These sound amazing…a perfect fall breakfast or snack! You photographphotography is fantastic too. I want to reach in and grab one of the donuts! Thanks so much for sharing this at our party this week! Obviously my tablet is filling in words for me…that should be photography. Sorry! Thanks for the super sweet comment Jamie! That means a lot, I feel like I have to work really hard on my photographs, I’ve improved a lot since my early posts but I struggle with it! These donuts look delicious! Love all the sugar coating! Pinned! Gorgeous recipe and photos. Pinned. Thanks for bringing it by Weekend Bites. Totally craving these right now! Thanks for linking up with What’s Cookin’ Wednesday! Yum, these look super yummy. I’d be a veryhappy lady right now if I had one of your chocolate hazelnut brownies is one hand and one of these in the other. Thanks for linking up to Sweet and Savoury Sunday, stop by and link up again. Have a great day!! haha go ahead and have one of each!